Thanks to the Internet, it's easy to find organic foundation makeup reviews. You just need to know where to look and what to look for. There are thousands of people out there pushing this world to become more eco-friendly and for people to become more aware of the ingredients in products used every single day. This includes makeup, which has stimulated an organic makeup revolution. More than ever before, it's possible to get truly natural and organic makeup and skin care products with a wide selection of colors and brands. There are dozens of organic foundations on the market today. Here are a few reviews of some of the most popular organic brands. When you're looking for a good organic foundation, your best bet is to go online to find out what other people in the organic community are buying and what they are saying about these products. The Internet is a wealth of knowledge when it comes to product reviews, because it allows for quick exchange of information and links to alternate products. 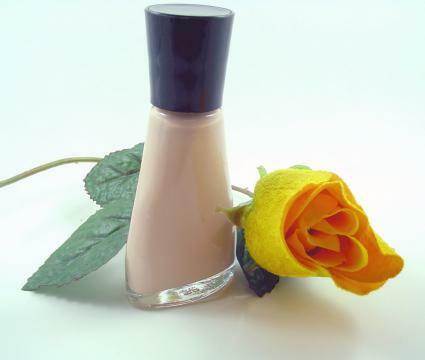 Consider the following sites when looking for organic foundation makeup reviews. More and more, blogs are becoming a go-to source for up-to-the-minute information about new products and businesses that manufacturer exactly the kind of organic items you're looking for. This online community of like-minded individuals is a powerful and knowledgeable niche of the market that the Internet allows you to tap into. Here are just a few such blogs. Meg's Makeup - Meg's Makeup offers sections on hair, eyes, face, and more, making it easy to search for organic foundation or any other type of natural makeup product under the sun. Makeup and Beauty Blog - A handy search bar at the top of this site allows you to search for exactly what you're looking for. Organic Makeup Girl - This blog is dedicated entirely to organic makeup and skin care products. When searching for a highly rated organic foundation, it may be easier to search specific brands and to visit their websites. These are just a few of the many organic makeup companies on the Internet. Many of these companies also sell their products through retail stores and in organic markets. Lavera Cosmetics - Lavera also offers a plethora of other organic products, including sunscreens, bath and body products, hair care, and products for both children and men. Zuii Organic - This Australian-based company makes a variety of certified organic makeup products, such as organic foundation, blushes, lip glosses, and more. Eco Bella - Eco Bella sells makeup, but also a variety of other eco-friendly products for both beauty, health, and home. Organic foundation makeup reviews are easy to find and surprisingly large in number. As more and more people begin to see the importance of organic products for health and beauty, this number will only grow.